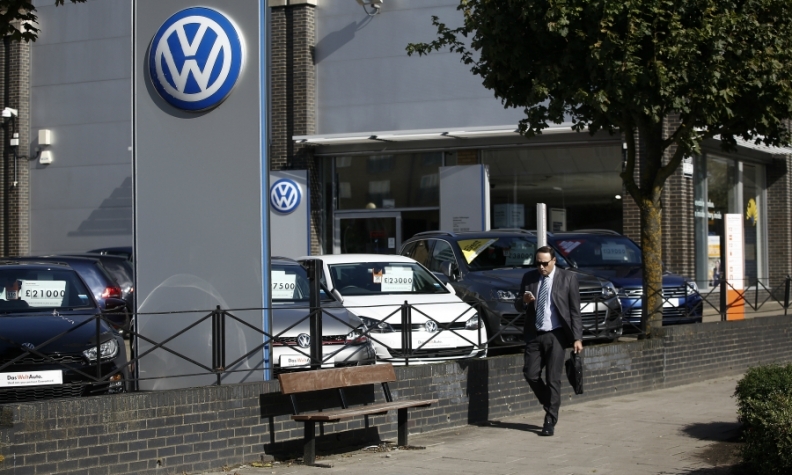 LONDON -- A British law firm has launched legal action against Volkswagen Group, seeking thousands of pounds of compensation each for UK drivers affected by the carmaker's diesel-emissions scandal. In total, 1.2 million cars are affected in the UK, Europe's second-biggest autos market, and Harcus Sinclair, which is being supported by Slater and Gordon, said around 10,000 drivers had already signed up to the legal action before Monday's launch. The firm will pursue a group action, the nearest British equivalent of a U.S. class action, at the High Court and is asking other drivers affected to come forward and join the case. "We will argue that you received a vehicle that should never have been licensed for sale because it did not meet the required emissions standards," the firm said on its website. "We believe that the Court will assess the difference between what you paid for your vehicle and the inherent value of what you actually received." A spokesman for Volkswagen said the company would "robustly" defend itself in the case and reiterated it did not believe customers would lose out due to the scandal. "We expect no decline in the residual values of the affected vehicles as a result of this issue," he said. Last year, a Spanish court ruled in favor of a buyer of a Volkswagen car with altered emissions software, ordering two of the German firm's local units to pay a 5,000 euro (4,330 pound) fine to the car's owner. But the British authorities have been accused by some consumers and lawmakers of being too slow to act for not pursuing compensation or criminal proceedings. In December, the European Union began legal action against the UK, Germany and five other member states for failing to police emissions test cheating by carmakers. Volkswagen Goup has been hit hard in Britain since the scandal erupted in 2015, with sales of its VW brand cars down 7.5 percent in 2016 despite the overall market rising by over 2 percent to hit a record high. The first hearing in the group action case is due to take place on Jan. 30, a spokeswoman for Harcus Sinclair said. VW is already involved in lawsuits in several countries and is racing to resolve criminal and civil allegations with the U.S.'s Department of Justice after admitting it cheated diesel-emissions tests. Separately on Monday, the New York Times reported the Federal Bureau of Investigation had arrested a Volkswagen executive on charges of conspiracy to defraud the U.S., underscoring how the company is still struggling to move on from the scandal 16 months after it erupted.